The administration of medicines requires all practitioners to remain within their competence while adhering to their professional standards and the law. If you are confident and competent to administer life-saving medication, such as adrenaline to a patient in anaphylactic shock, this can be done without a prescription and your actions are protected by law under regulation 238 of the Human Medicines Regulations 2012. This allows specific injectable prescription-only medicines to be administered for the purposes of saving life in an emergency and isn’t limited to registered healthcare staff – it covers anyone who needs to administer these medicines, including school teachers, youth workers and family members who can administer them if someone has developed life-threatening symptoms. Schedule 19 covers all the medicines this legislation applies to (see box). But as your contract of employment will require you to work within your employer’s policies and procedures, it is also important to check what these say about administering medications in an emergency. In my experience, the three most common medicines used from this list in life-threatening scenarios are adrenaline 1:1000 for anaphylaxis, Glucagon for severe hypoglycaemia and Naloxone for opioid overdose. As a nurse, you should be able to recognise anaphylaxis, hypoglycaemia and opioid overdose, and manage the conditions using your resuscitation skills and the DRABC (Danger, Response, Airway, Breathing, Circulation) approach. This will enable you to assess the patient safely, call for help, put the patient in the recovery position if required or start managing their airway, breathing and circulation more actively. If a condition can be managed using non-pharmacological means, this should be tried first. For example, a patient with diabetes who is hypoglycaemic but conscious and breathing can be given oral glucose, such as hypostop, or even sweets such as Jelly Babies. 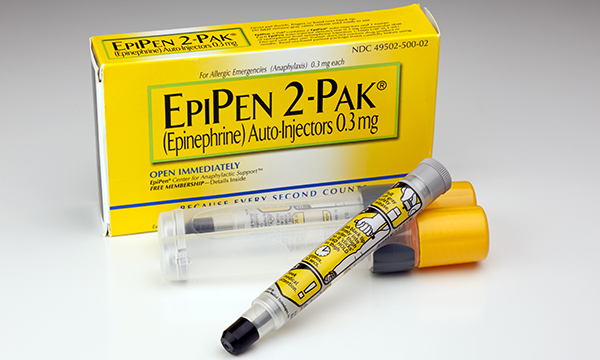 But if the patient needs pharmacological intervention – for example in anaphylaxis, severe hypoglycaemia where the patient is unconscious, or opioid overdose where the patient is semi or unconscious – you can administer the necessary medication provided you are competent and confident to do so and are working within the law and your employer’s policies and procedures. Non-healthcare staff, such as family members, are often expected to administer life-saving medicines but they are only trained for short periods. As they often won’t use them, their skills can become rusty to the extent they sometimes injure themselves on the autoinjectors by placing their thumb over the needle aperture. It is therefore vital that refresher training sessions be offered. Although there is no nationally recognised qualification or standard to achieve, we have the resources in healthcare to help train people in these skills, with many school nurses already training teaching staff. Training for healthcare assistants and nursing associates should be considered. At Festival Medical Services – a charity I work for – we are training and assessing our first response in emergency care staff, at levels three and four, because they are often the first on the scene at emergencies in our working environment. Not only are these skills important in healthcare settings, they could be vital in our personal lives if we are ever required to be ‘good Samaritans’ and administer medication that could save someone's life.